Don't have any tools to open a can no problem just use concrete. Below you can see this demonstrated in a video. 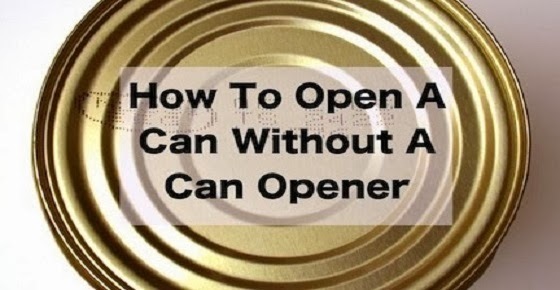 The edge of the can will be sharp – so please take caution.